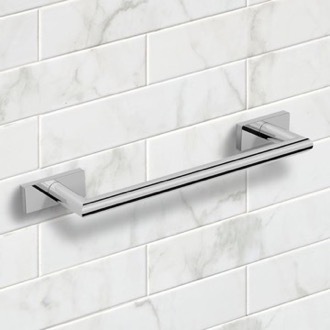 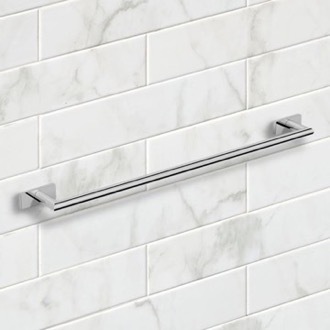 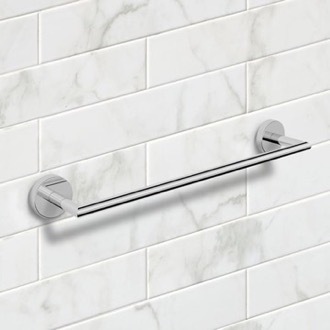 Shop our selection of chrome towel bars and get FREE shipping on all orders over $99! 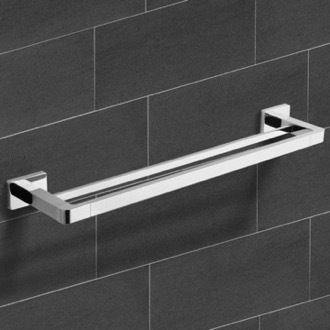 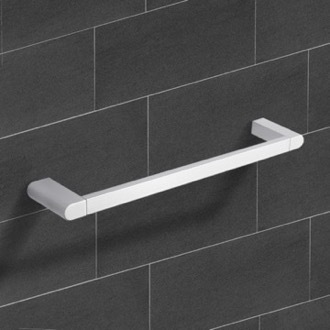 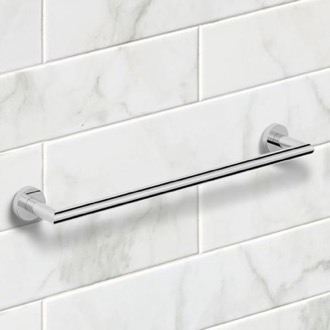 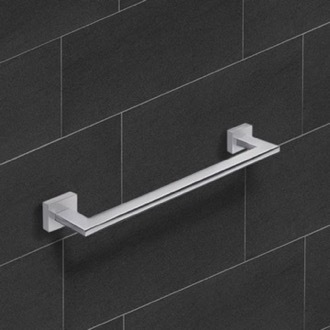 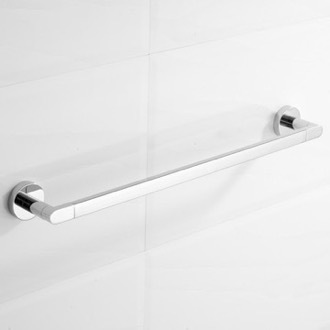 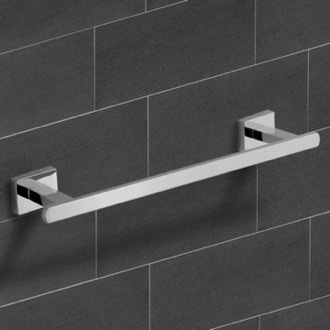 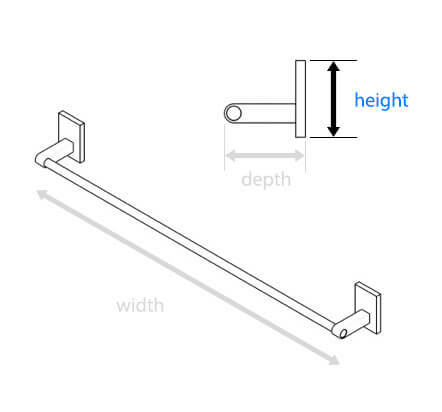 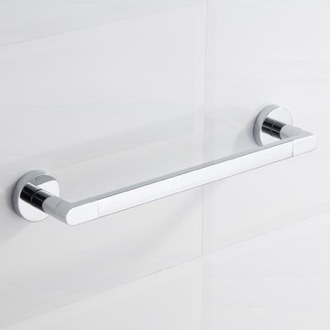 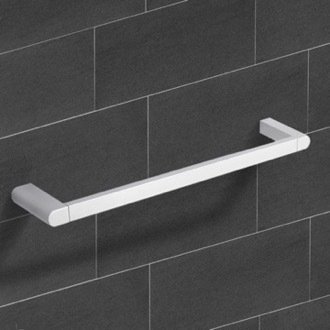 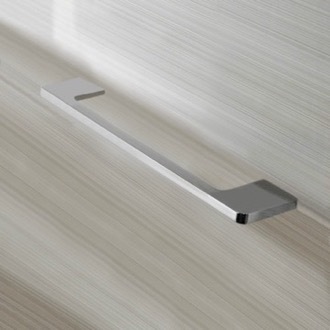 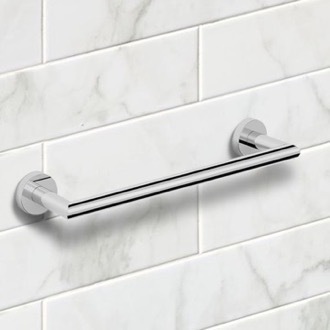 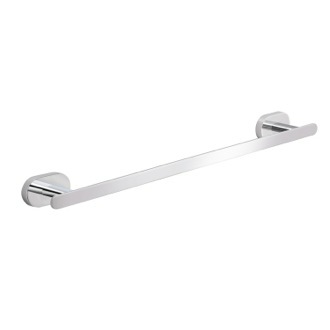 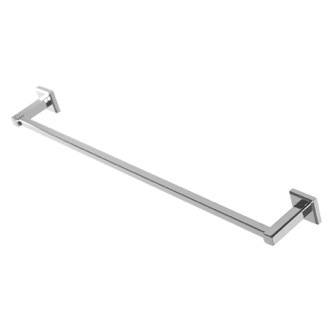 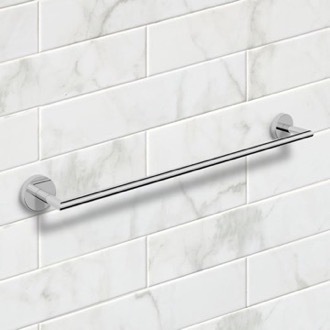 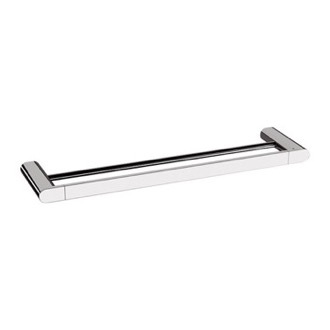 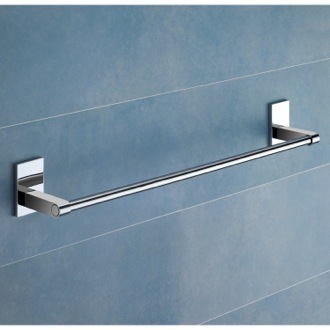 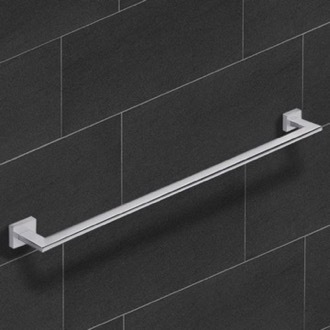 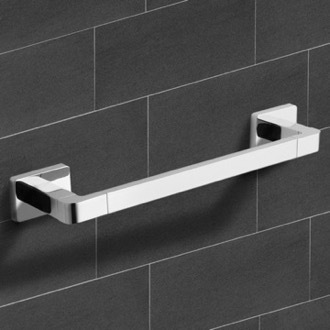 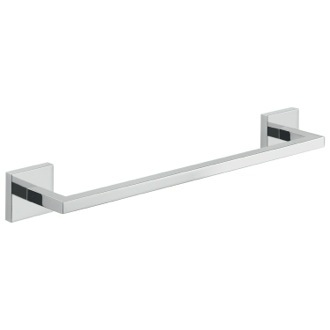 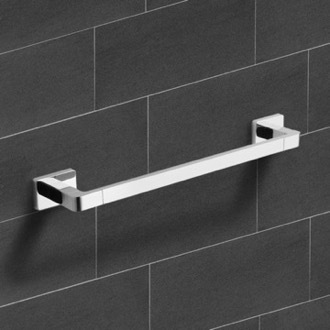 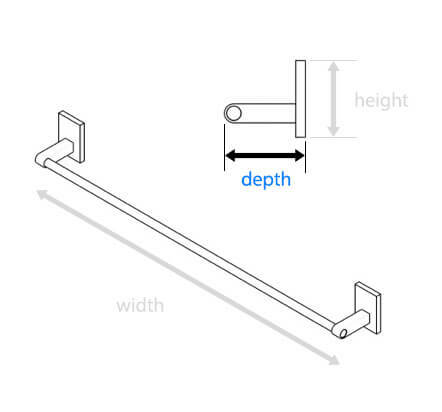 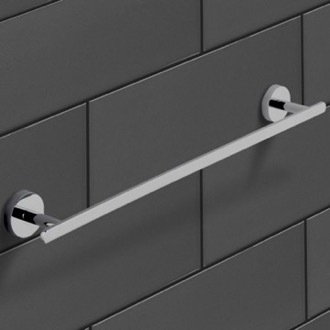 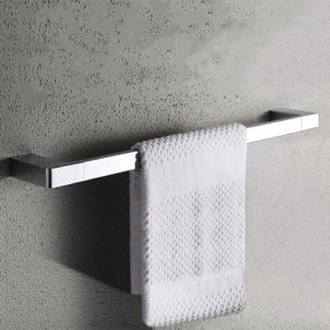 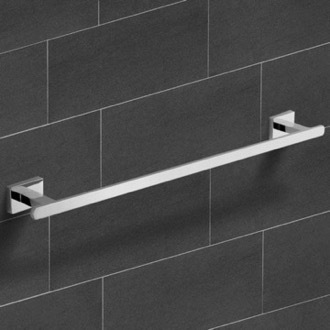 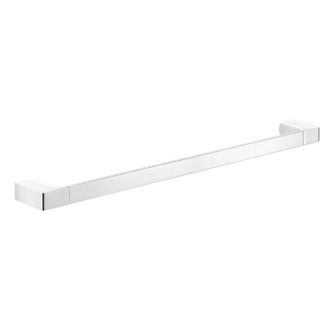 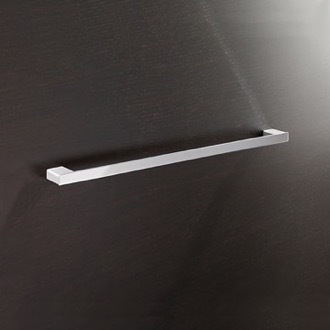 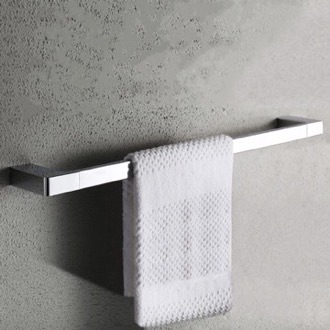 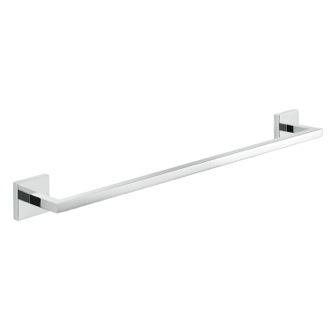 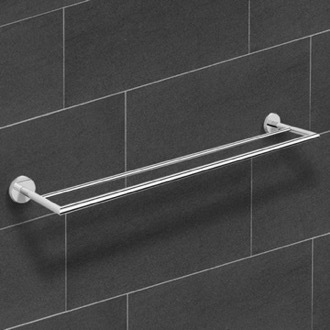 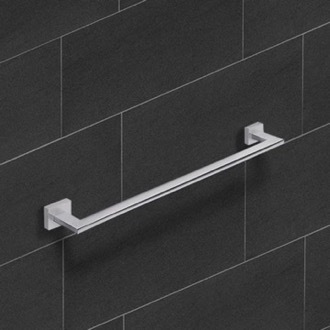 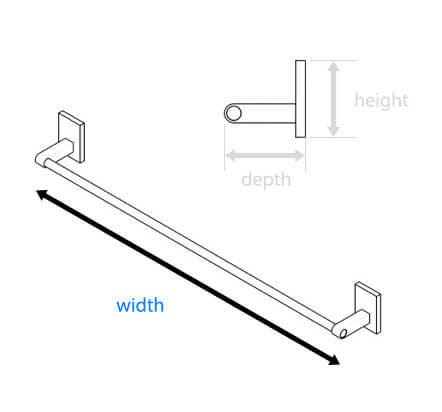 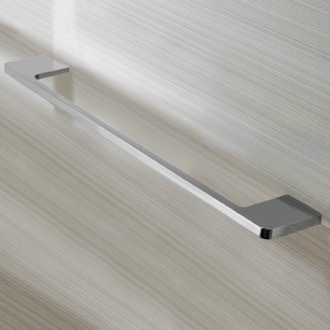 Chrome towel bars are an easy and popular choice for updating your bathroom hardware. 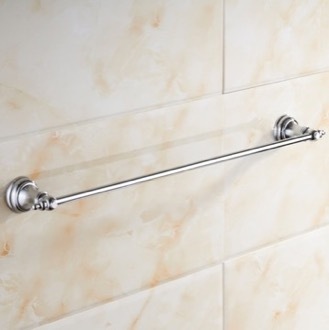 You can buy chrome towel bars in various lengths to hold everything from hand towels to full-size bath towel. 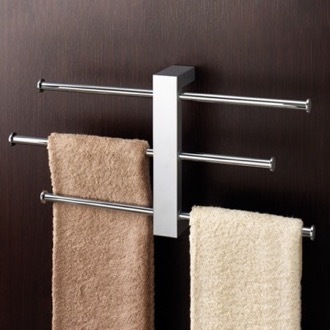 Some chrome towel racks have a single bar, while others may offer multiple bars for even more storage. 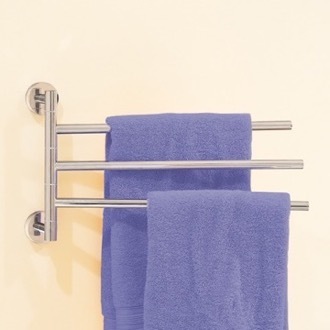 Or, consider a chrome towel bar with swivel arms for extra versatility. 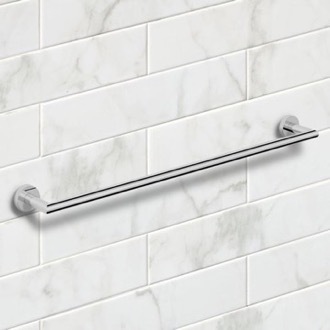 More shopping tips Chrome is a versatile finish and you'll find that many of our towel bars utilize this look. 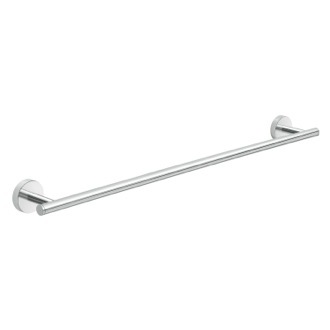 Our chrome towel bars come in a variety of styles. 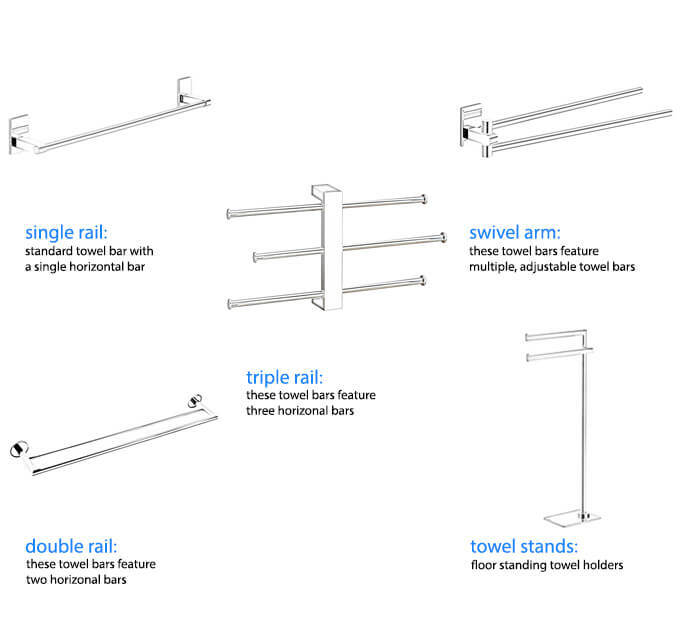 Choose from standard wall mounted towel racks or have a little fun with a free standing model. 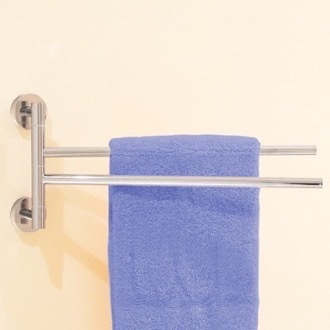 If you're low on space, a simple chrome towel ring will do just fine. 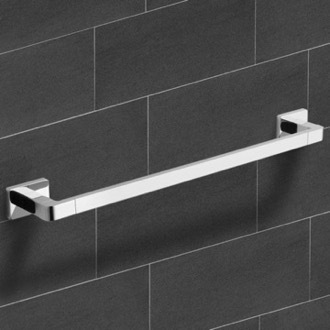 Chrome is an affordable finish that's also easy to clean and maintain. 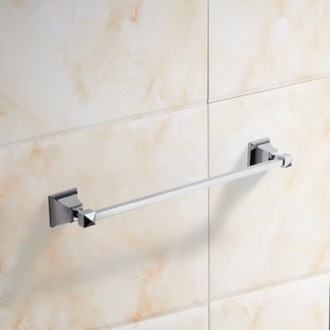 Its durability will give you confidence in your investment. 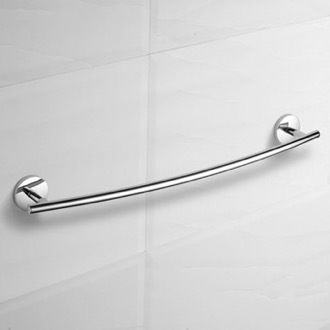 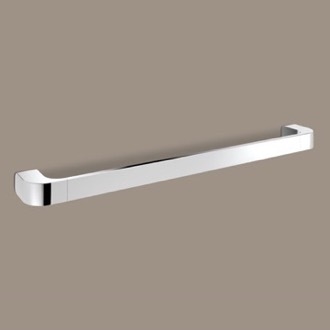 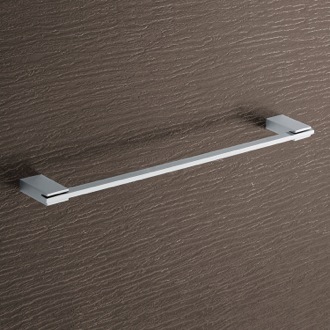 Because of its popularity, you'll find that most of our towel bars have a chrome finish. 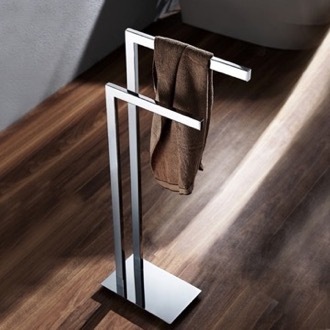 This gives you almost limitless possibilities when it comes to style and design. 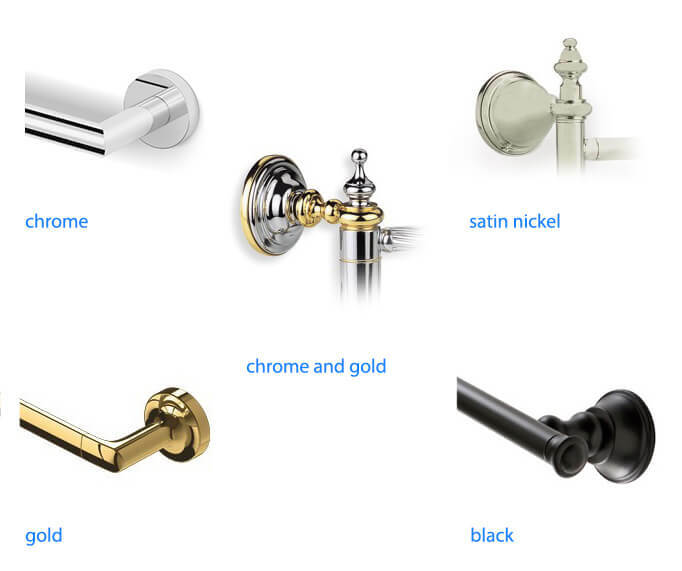 Don't let cheaper imitations fool you. 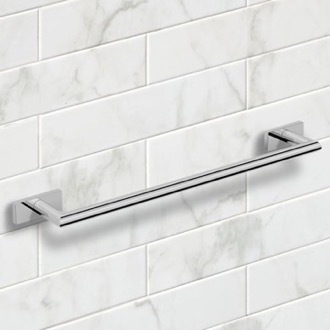 Our chrome towel bars are the real deal. 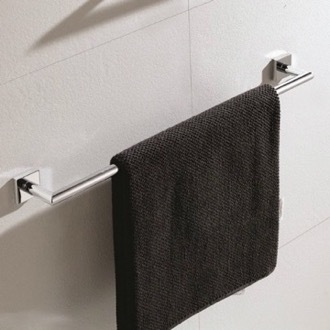 They can add class to your bathroom that's guaranteed to last.